In a strategic expansion of the growing UK game developer, SEGA and Creative Assembly have announced the formation of a new studio under the Creative Assembly banner. Following the acquisition of 60 person, Bulgaria-based studio Crytek Black Sea, Creative Assembly have now set up a new studio named Creative Assembly Sofia. Here’s everything we know about Creative Assembly’s upcoming projects. 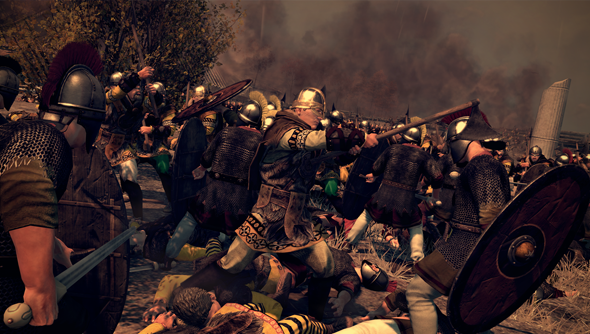 This follows the continued expansion of Creative Assembly over the past year, which saw the company headcount grow by 37% and the opening of the third studio site in the UK. This new site “includes a 45-camera motion-capture studio”, perfect for creating extensive animation work in-house at Creative Assembly. With high profile collaborations with companies like Games Workshop on Total War: Warhammer, 20th Century Fox with Alien: Isolation, 343 Industries with Halo Wars 2 and the recently announced collaboration with Wargaming on Total War Arena, Creative Assembly has truly established itself as a heavy hitter in the global games industry. Creative Assembly are currently working on a series of unannounced projects, with many of these new additions now set to be developed by Creative Assembly Sofia. We will no doubt learn what the studios are cooking up in the near future, with the lumbering beast that is E3 starting to peek its head over the horizon. Fingers crossed on a new Alien: Isolation.